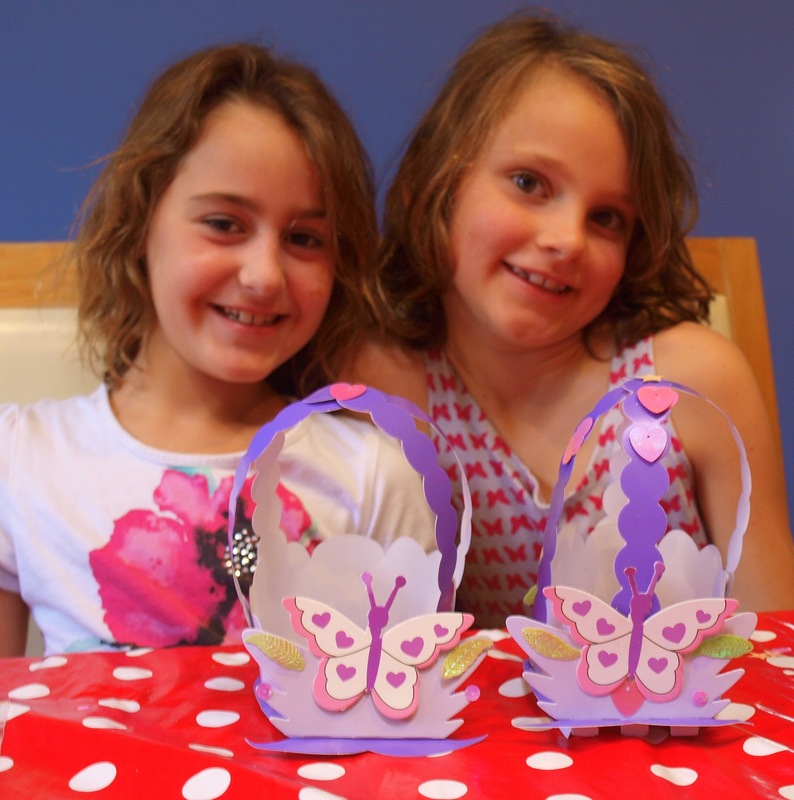 We had the delightful pleasure of an overnight visit from some very dear friends of ours, the girls dived right in to some Easter crafting. Everything simple, nothing over the top, our focus was on the special people we had joining us not on the crafts at hand. 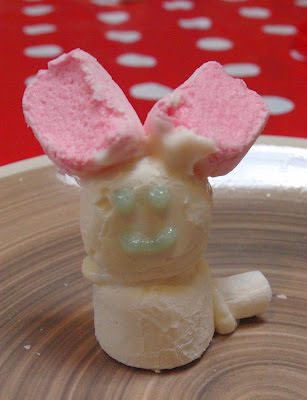 Marshmallow Easter Bunnies, so easy, so few ingredients and so cute!! 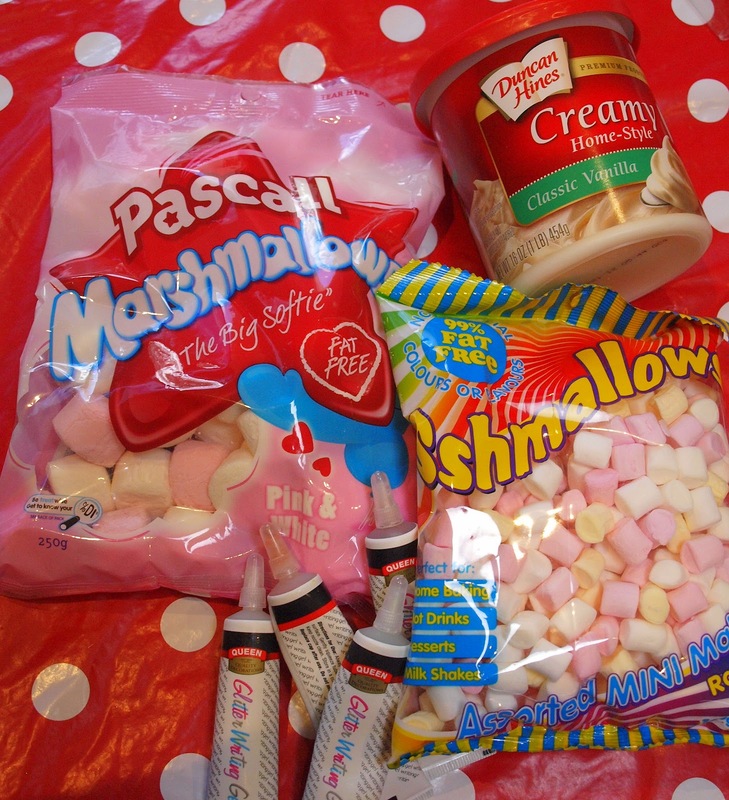 Simply use icing to 'glue' the marshmallows together and decorate the bunnies face with 'icing pens'. 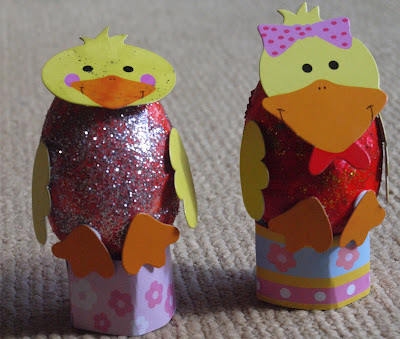 I had picked up a couple of small kits that were on clearance, mini easter baskets, which were a simple 'stick together' activity. And these little easter critters, but as I said, the focus wasn't on the crafts it was on the time spent with friends.